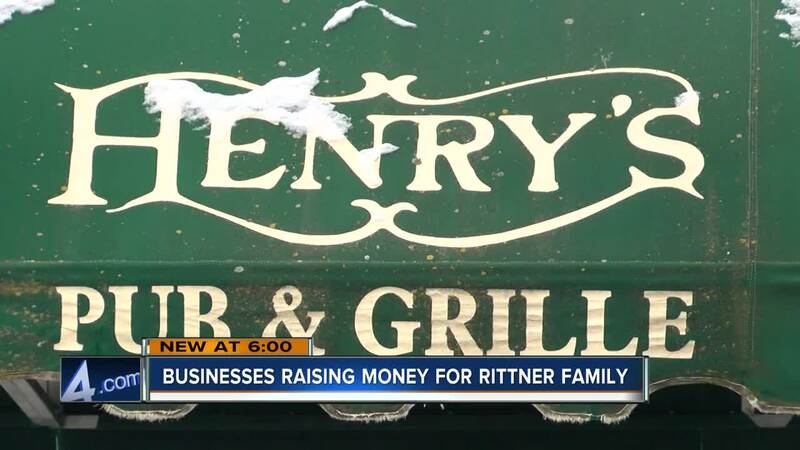 Local businesses are raising money to benefit the family of fallen MPD Offcier Matthew Rittner's family. Tuesday at Henry's Pub and Grill there will be an event for the family of fallen officer Matthew Rittner. Owner of the restaurant, Nader Pakroo, said the family had a 10 year history with the bar. It's where Matthew's wife Caroline worked for a number of years. It's also where they got engaged. "Carolina and Matt were well loved by everyone it's just a tight family here," said Parkroo. The event will be held from 4-8 p.m. Free appetizers will be provided, the owner just asks for donations for the family. Over in Cudahy Jennifer Clark, owner of Jen's Sweet Treats, closed down shop Monday evening to meet the demand of pre-order sales. She said so far she has received more than $10,000 in pre-order sales. On Tuesday 100 percent of the sales will go straight to the Rittner family.